The Hyperlink is unique, it?s the first foil kite to be as dynamic and fun to ride as a performance inflatable. 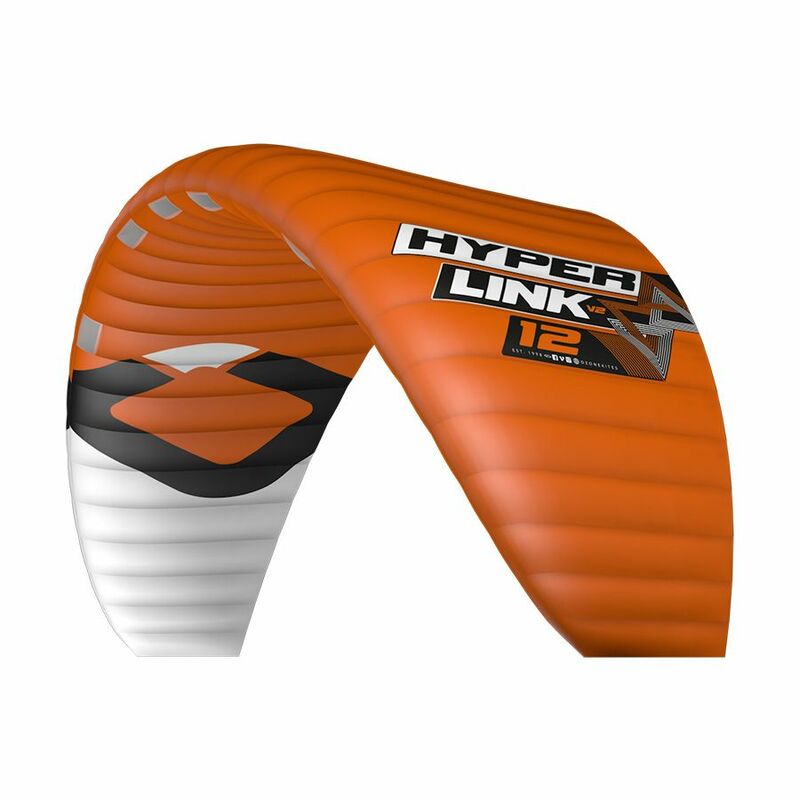 With an unparalleled level of stability, handling and bar feeling the Hyperlink takes it to the next level. With an innovative valve design it can be ridden on the water, snow and land safely, as a Closed Cell or Open Cell kite. Maneuvers are made easy thanks to the stability and lift produced as the Hyperlink flies through the zenith ? a great help when learning to tack and gybe giving you time and float to change board direction. 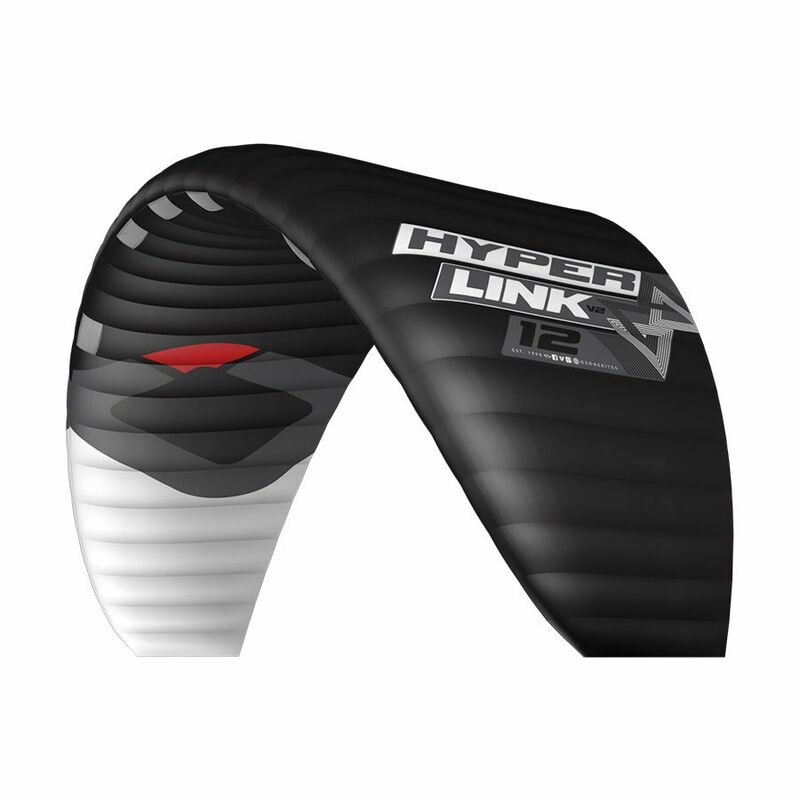 4-Line: The Hyperlink comes standard with our Front Line Flag Out Release System. This is recommended for water use ? it is a simple and effective flag out when the release is activated ? it works the same way as our 4-line inflatable water kite range. Innovative Zip Valve ? Our newly developed Zip Valve allows the Hyperlink to be used as a Closed Cell or Open Cell kite. Essentially opening the Zip Valve converts the kite from a Closed to an Open cell foil, allowing air to pass in both directions. On the snow this is a great advantage as the kite can be landed and packed like a conventional open cell foil. 4-line and 5-line modes ? The Hyperlink comes standard with our Front Line Flag Out Release System. This is recommended for water use ? it is a simple and effective flag out when the release is activated ? it works the same way as our 4-line inflatable water kite range. The optional 5-Line Re-Ride Release System Conversion Kit is recommended for snow or land use. The Re-Ride Release System de-powers the kite instantly without tangling, and falls to the ground to relaunch when ready. High performance materials ? High-tenacity durable sailcloth with a superior strength to weight ratio. Internal diagonals and straps ? Internal span-wise straps work in unison with optimized diagonal ribs, distributing load from the bridles evenly and effectively. This increases the internal structural balance, while allowing the top and bottom surfaces to maintain the designed profile without being distorted from indirect tension or loads. Sheathed Dyneema Bridle Lines ? Requiring less maintenance and less likely to tangle. The bridles are well proven; they are the same specification used on the Chrono and Snowkite range. LE Profile Reinforcements ? The Leading Edge is reinforced with flexible lightweight plastic battens to maintain the shape of the profile during angle of attack changes and turbulent airflow. This drastically improves overall performance as the foil remains true to the designed shape. Designed with OZ-CAD ? 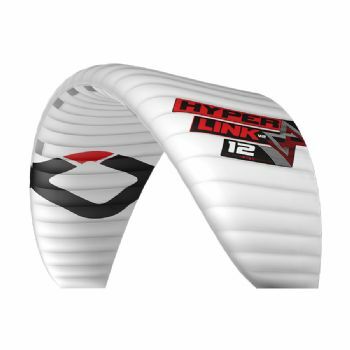 The FUTURE is NOW - All Ozone kites are designed and developed using our own highly advanced custom built CAD software. 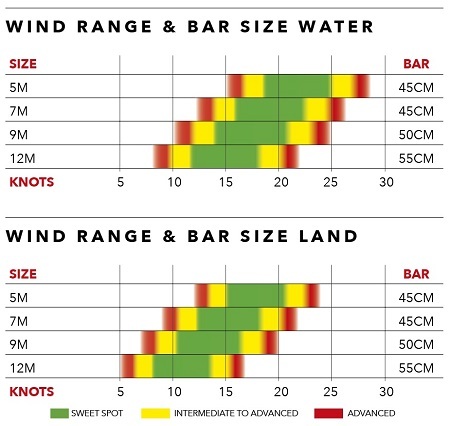 Our designers are able to work with parameters specifically formulated to calculate unique aspects required in technical Inflatable and Foil kites. Part of our design team is dedicated to the upgrade of the CAD code and addition of new modules and features to the program as the development of our kites continues. Exceptional Ozone Factory construction ? World-class construction in our own factory, using the highest quality materials and hand checked Quality Control at every step. 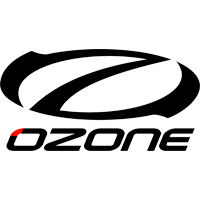 The Ozone factory also manufactures our Paragliding and Speed Wing range; the same Quality Control processes are used across all products. Water Drainage Channels ? An internal channel is shaped into the end of each cell along the trailing edge. This allows loose sand or water to run between the cells and out of the tips during flight. The Velcro sealed cells at the tips can be opened for cleaning the kite. Always clean your kite by emptying any water, sand or dirt as this will prolong the life of the kite and help it fly as designed. Comparable feeling throughout the size range ? We work extensively during our R&D process on each and every kite to develop a range of sizes that feel in tune with each other.